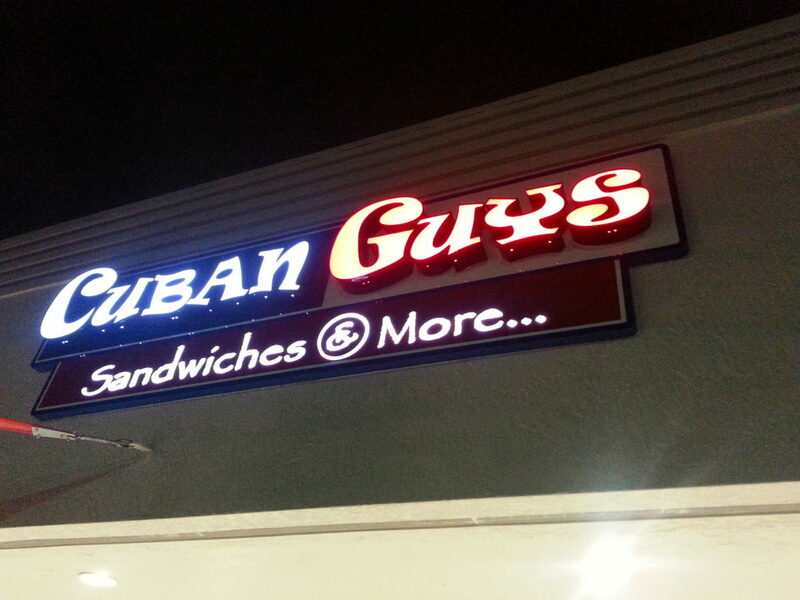 We just finish installing at the latest Cuban Guys Restaurants their new Channel Letter Sign. It is LED illuminated and it looks awesome. Giving their customer the best experience finding their way to the restaurants.